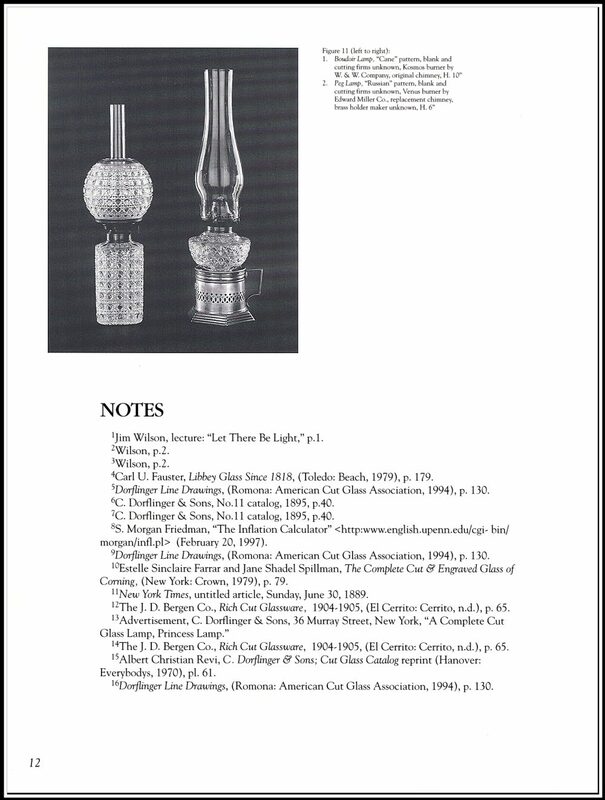 We are grateful that the Museum of American Glass at Wheaton Village, Millville, NJ has allowed us to post this 12-page booklet, Slivers of Light: Rich Cut Oil Lamps to our website. 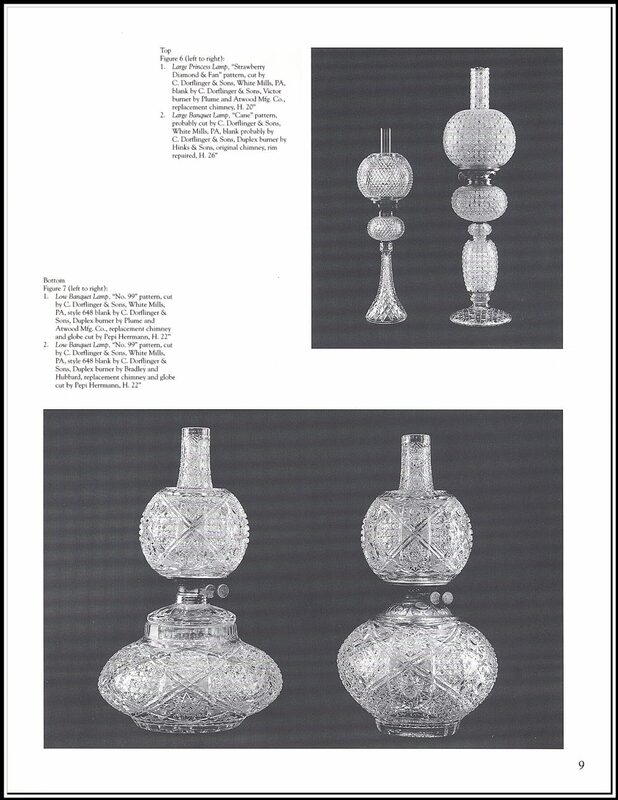 Cut glass oil lamps are one of the most rare, desirable and sought-after shapes in American Brilliant cut glass. 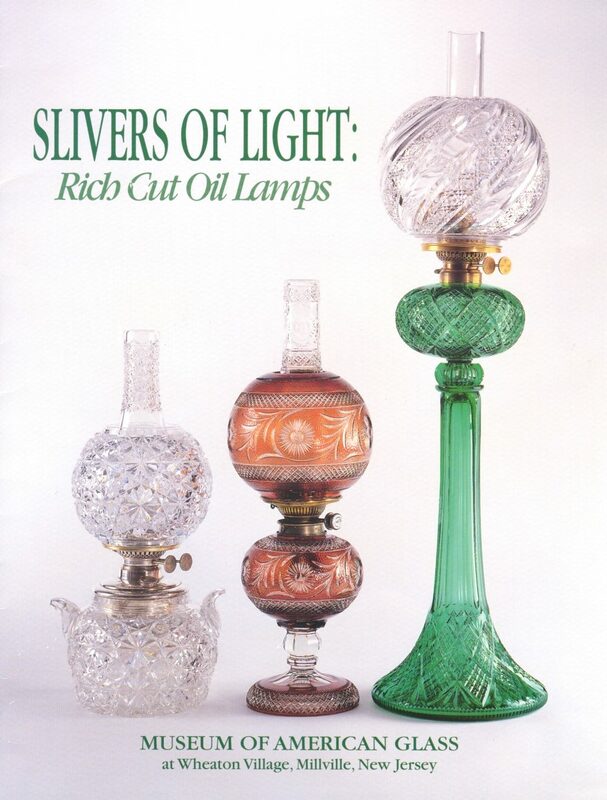 The small amount of information regarding oil lamps is scattered among several books and a few catalogs. 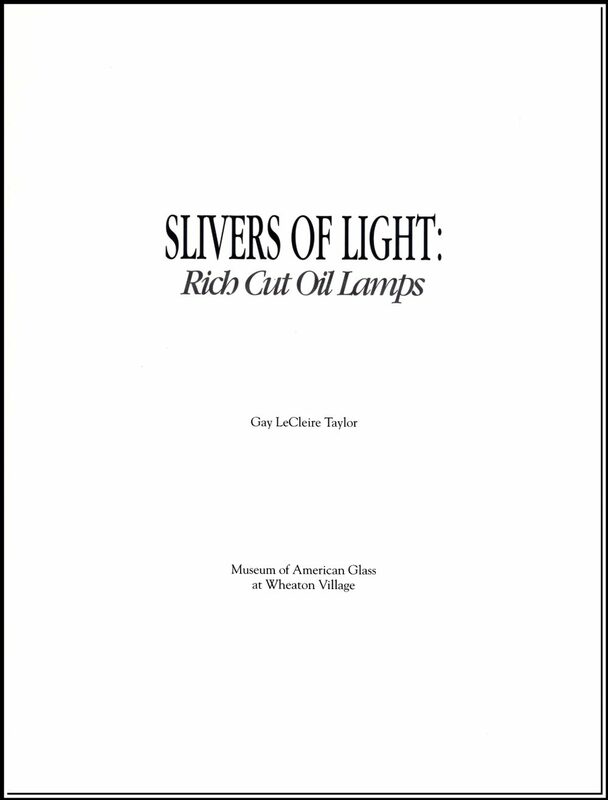 This very well-done booklet is a real treasure as it has more information and photographs than all of the other sources combined. 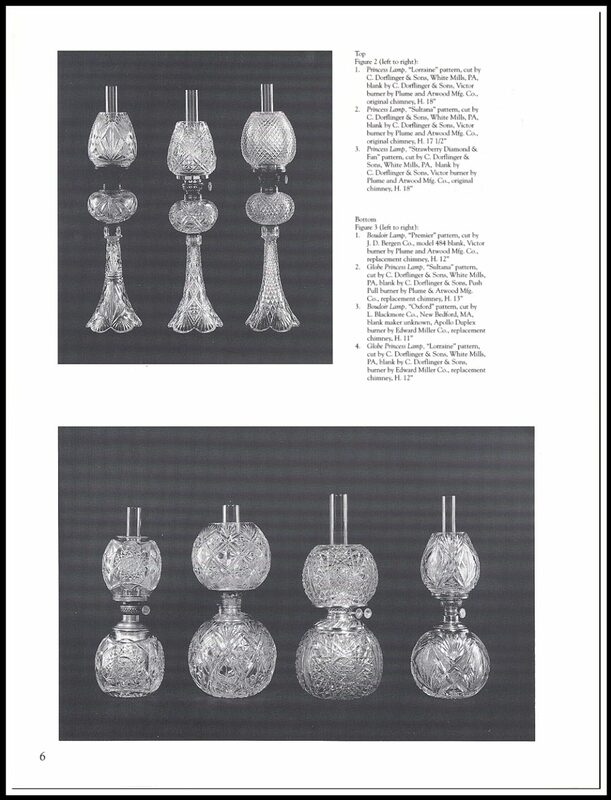 The booklet pictures the remarkable 26-lamp collection of Jean and Jim Wilson. It is thought that only 200 of these oil lamps are known to have survived. 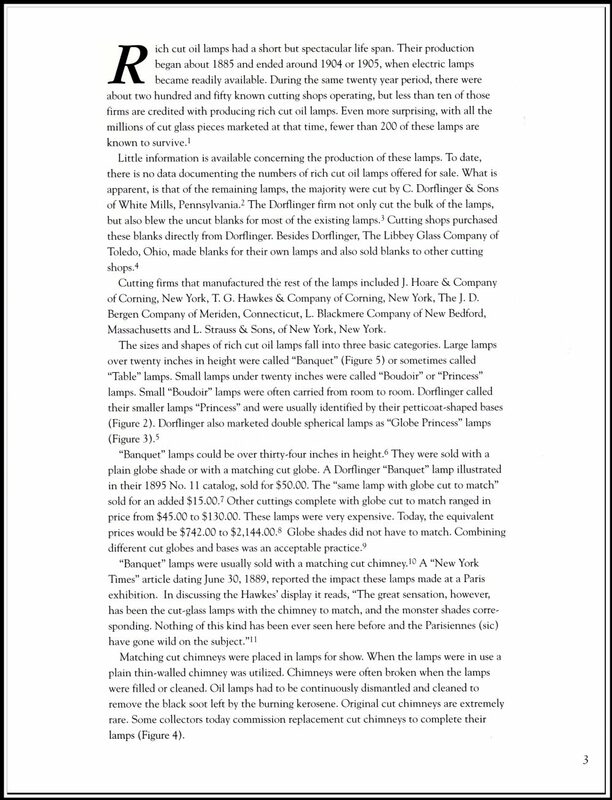 Since the booklet pages have been scanned, the photos cannot be enlarged like the photos on our product pages. 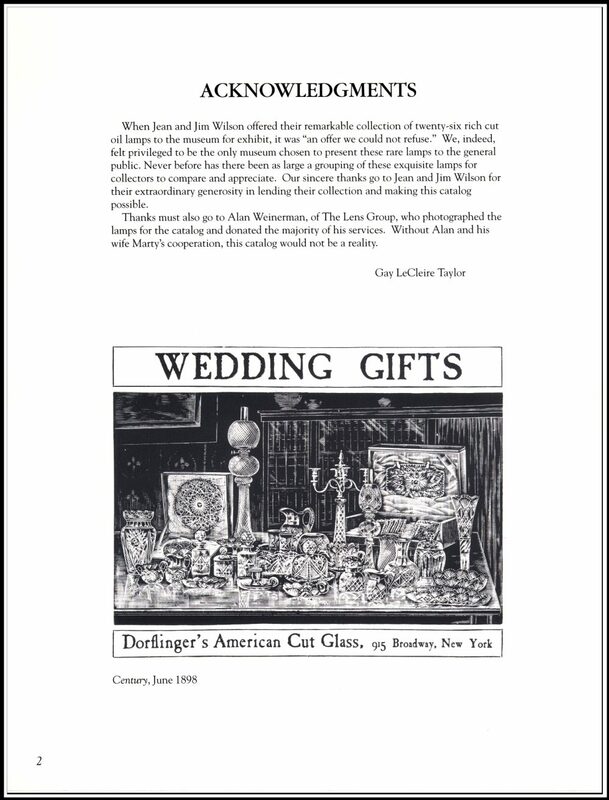 A limited number of these booklets are available and may be purchased from the Wheaton Village gift shop by calling Lori at 1-800-998-4552. The cost of $13.50 does not include postage. Your website just keeps getting better!!! 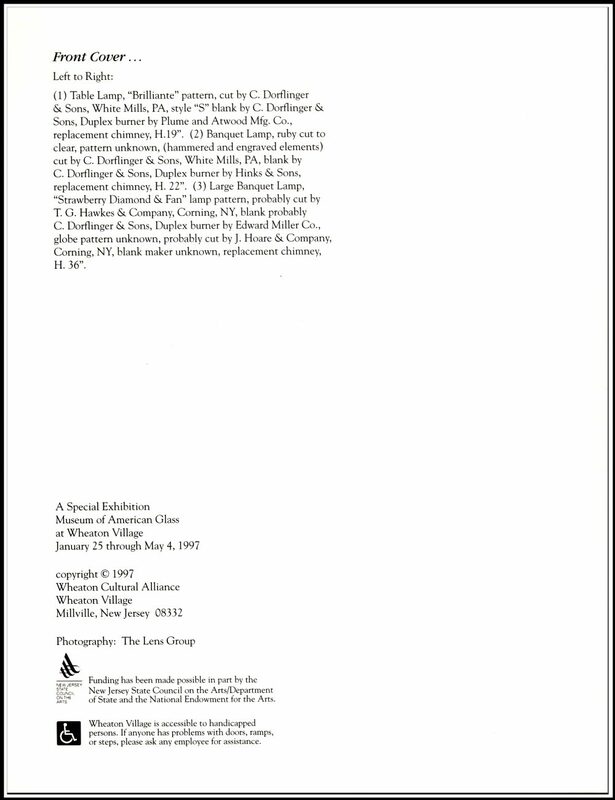 The Wilson article has one bit of information that is WRONG!!! 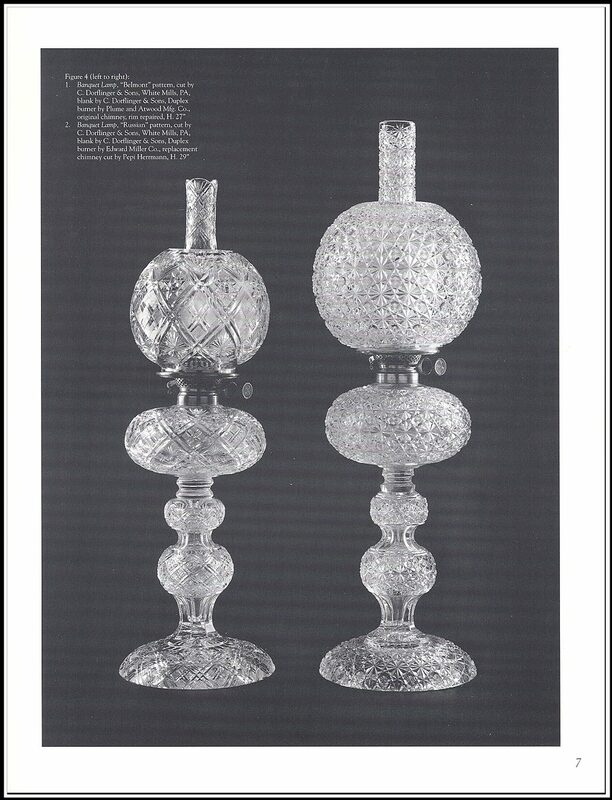 They claim that cut glass oil lamps stopped being made in 1905. That is not true. 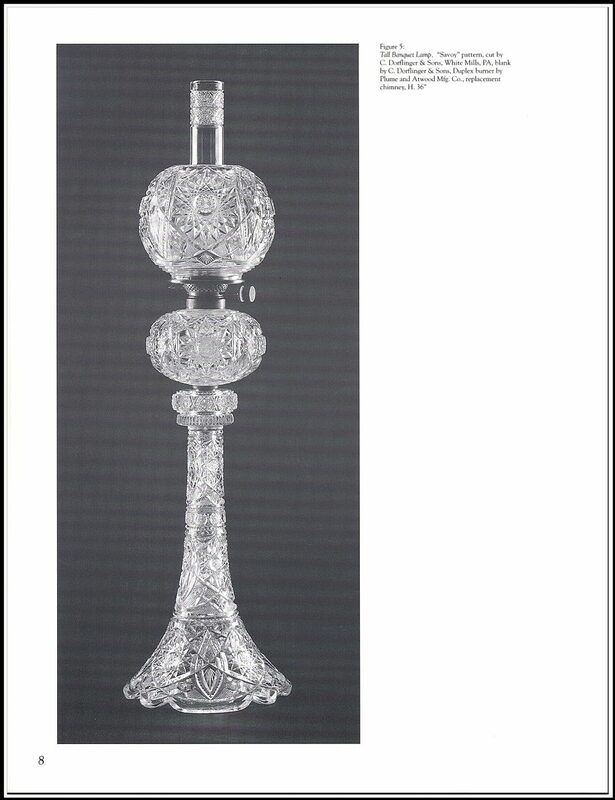 I have a Hawkes Princess lamp that is definitely circa 1912 or later. It has Hawkes marked sterling silver on it. 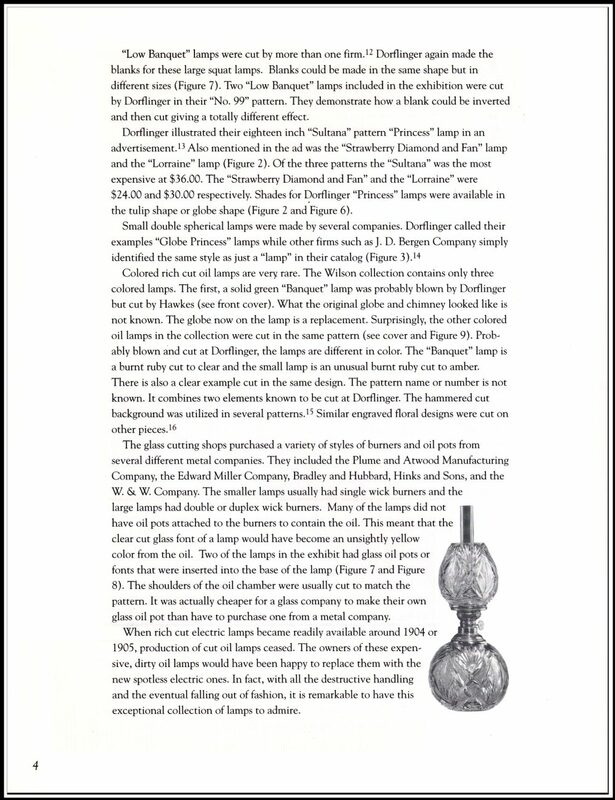 Hawkes did not make or sign silver until 1912. They are correct that electric lamps replaced oil lamps, but in the mountain resorts where the rich summered there was no electricity until later than 1905. Spillman agrees with this observation. 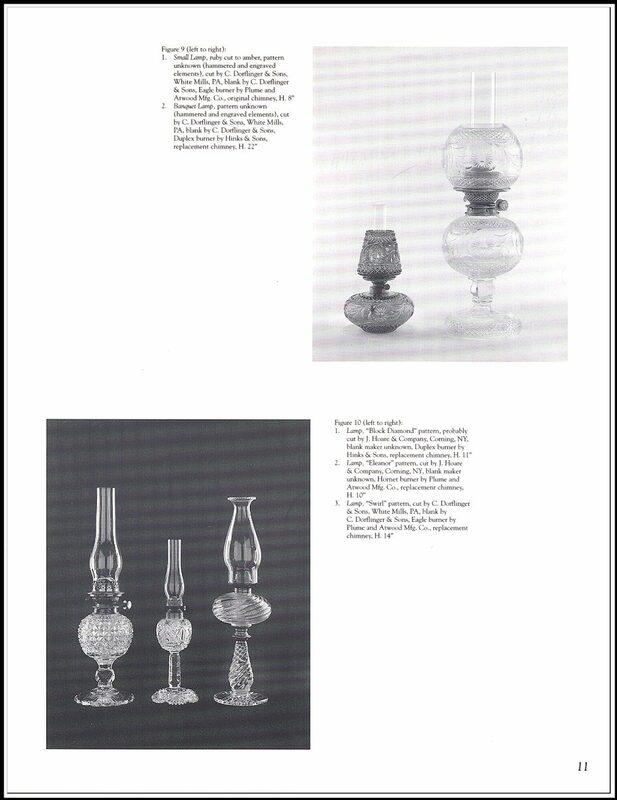 She can not find any documentation of a specific year at which oil lamps ceased to be made. Keep up having what may well be the best website for reference material on ABPG. The ACGA should have you do their website. 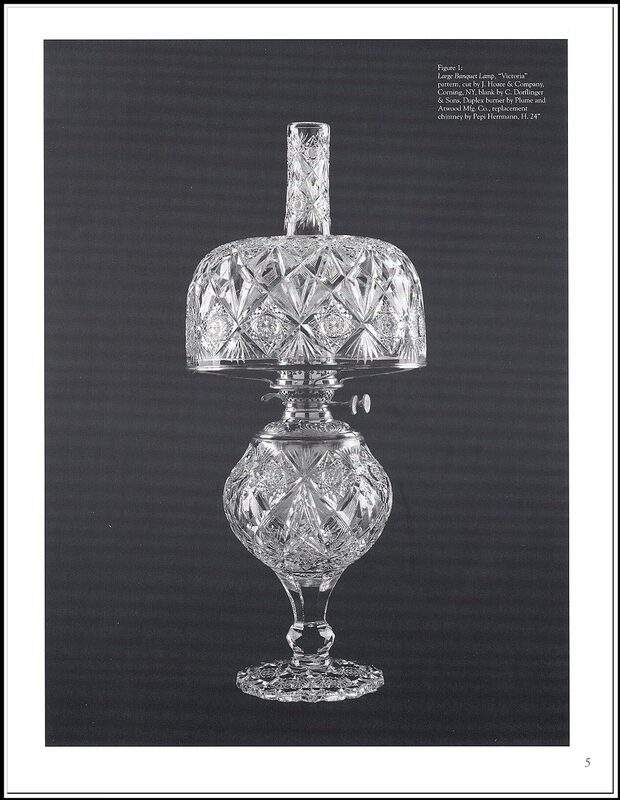 “Gone with the Wind” lamps were very popular in Victorian homes and are still popular today with collectors. Many of the lamps sold today have been electrified. 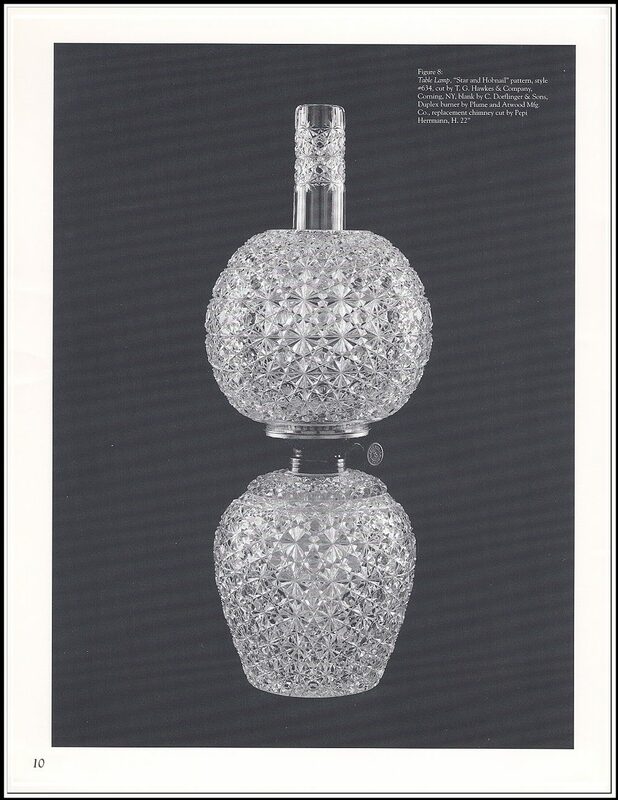 DID YOU KNOW that even though depicted in the 1939 Gone With The Wind movie, “Gone with the Wind” lamps were not made until 1875, a decade after the Civil War? !